An important part of managing the precinct is ensuring the public space is presentable, clean and maintained. 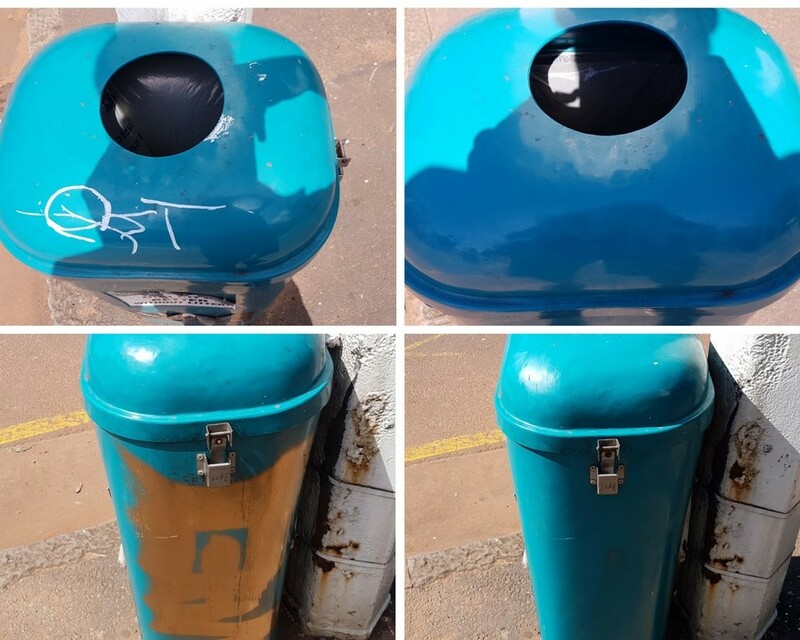 The UIP recently took to the bins to remove Graffiti and restore them to their original state. Public Space perception and a need to instill a sense of pride are important to maintaining Florida Rd.